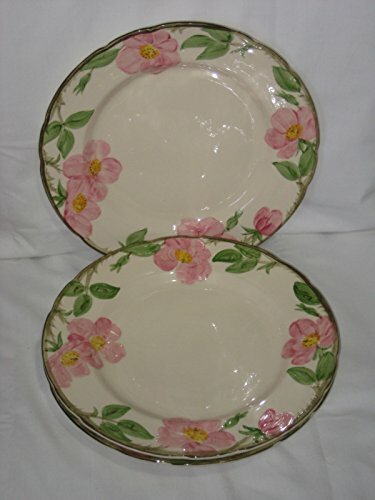 Lovely Franciscan Desert Rose vintage china tiles, shades of pink stained glass (some iridescent!) 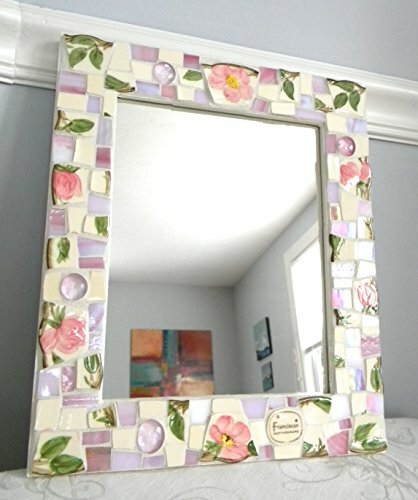 and light pink glass gems, decorate this medium size mosaic mirror frame! Size is 13" x 11" and 3/4" thick. Mirror opening is 9-1/4" x 7-1/4". Made from a new wooden frame. Grouted in antique white and sealed and ready to display with a wire hangar. 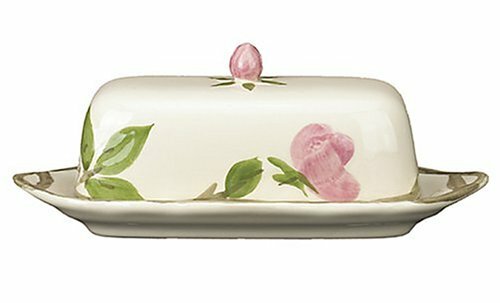 Sides and back are painted in a vintage white color and varnished. Signed on the back. 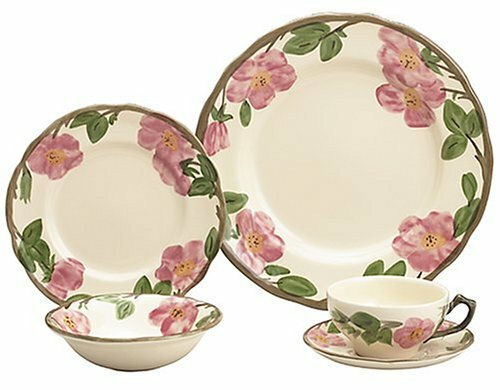 Features a unique look into the history of Franciscan dinnerware, with full-color digitally captured images of more than 400 patterns. 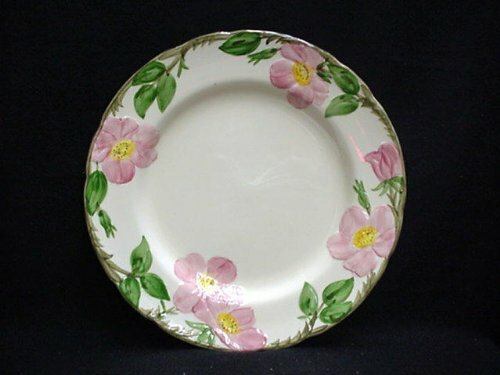 Thorough detail on Franciscan favorites such as Apple, Desert Rose, and Ivy. 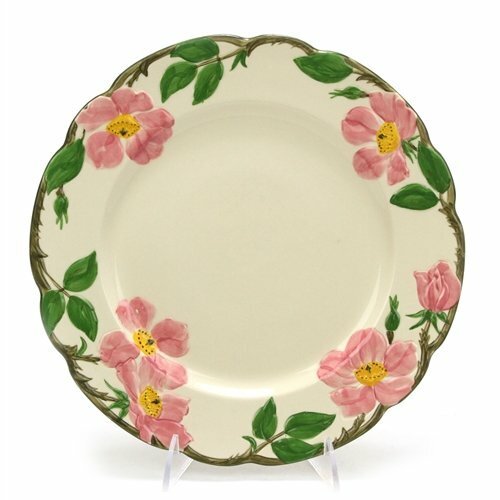 Comprehensive sections on Handpainted, Earthenware, and Fine China dinnerware, including a brief history with interesting information about each pattern. 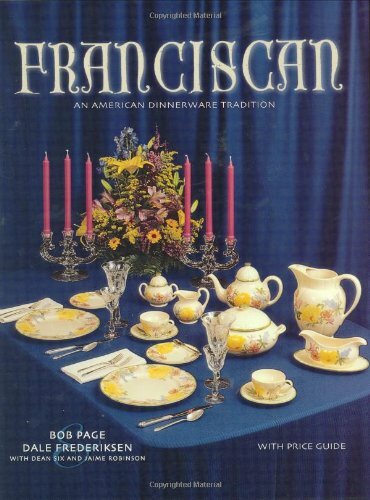 Includes segments on Franciscan Crystal, Flatware, Collectibles and Giftware. 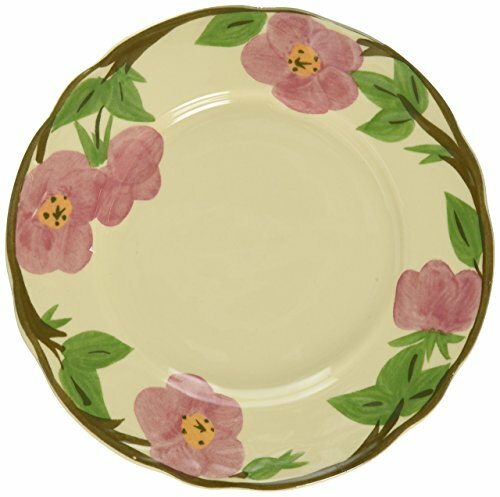 FRANCISCAN BREAD/BUTTER, DESERT ROSE 6 3/8"
Drawing inspiration from the tradition of California pottery graft, the Desert Rose collection features beautiful fine earthenware and accessories that are freezer, microwave and dishwasher safe. 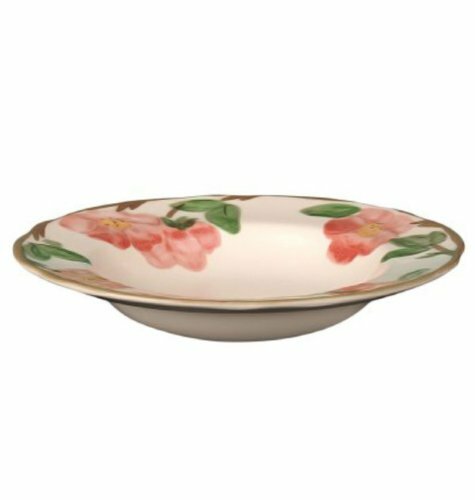 This Rim Soup Bowl is decorated in a delicate motif of rose blossoms, leaves and intricately twisted wood-toned accents; bringing the rugged beauty of desert blossom to any casual dining occasion.